Addressing a meeting of the Congress Parliamentary Party (CPP) Congress president, Rahul Gandhi applauded the performance of the Congress MPs in the parliament. He also hit out at BJP-RSS, saying that they are dividing the nation. He also said that Prime Minister Narendra Modi is not the person he claimed. I would like to welcome all of you here this morning and I would like to start by congratulating every single member of the Congress Party in Rajya Sabha and Lok Sabha. I remember when we got the verdict of 2014 and we had 40 plus members in the Lok Sabha and the BJP had 280 plus members. Everybody thought that the voice of 40 members could not possibly be heard in front of 280 plus members who are trained RSS ideologues who just repeat themselves again and again, and we had quite a difficult time in both Houses and I refer of course not to the Rajya Sabha but the Lok Sabha where senior members were forced to go to the well, senior members were forced to shout for days. They’re laughing right now, but they were not laughing then. They were being forced, it was physically difficult, it was psychologically difficult but the Congress Party stood there and defended its position. Defended the key attacks that the BJP was making on the constitution and on our ideology, so I’d like to start by congratulating all of you and I am very proud of the work that you have done. I think there have been many Congress Lok Sabhas and Rajya Sabhas, but I don’t think there would have been any in the past that would have had to fight the fight that you had to fight. With respect to past Lok Sabhas and Rajya Sabhas, I don’t think, because of the numbers, I don’t think there was any other Rajya Sabha or Lok Sabha, where the type of animosity, where the type of unfairness, in fact done by the institution itself and the role of the members of the BJP there, so I very proudly as a Congressman say thank you and say that you have made us all very proud. The Modern Indian Nation arises out of the Constitution so whatever we have, whatever we have built, all the discussions we are allowed to have, they arise out of the Constitution and out of the Constitution arises all of India’s Institutions and we see what is going on today and you can look anywhere. You can look at the Supreme Court, where four judges come out, you can look now at the CAG Report that is going to be tabled, everybody knows what that CAG Report contains. Then, revelations on Rafale, one after the other, Defence Ministry saying that Prime Minister is carrying parallel negotiations, Mr Anil Ambani’s meetings are being fixed; he’s going to the Defence Minister of France. Today you see in the Hindu Newspaper, that the entire argument for the new deal, the idea that it was cheaper and the idea that planes were needed quickly, has been demolished. Finished. So there is not a single step for the Prime Minister to stand on, you can see it in his face, you can see the expression, you can see that, that bluster has gone and that is not Rahul Gandhi, that is the Congress Party, Congress Workers and all of you. I get my strength from you, so you project your strength into me and I use your energy to do my job. And this attack has been systematic, Rafale is a very small piece. Rafale is systematic robbery from the Indian Defence Forces. It is not only Rafale, every single deal and this will also come up, that other deals have been managed in the same way. One man is chosen, and then the whole procedure is bypassed. You look at the Lok Sabha and you look at the Rajya Sabha, you look at the way the BJP MPs do their work. Senior leaders of the BJP are not allowed to speak, there is only one voice in the Lok Sabha in the BJP and that’s Mr Narendra Modi, before they speak they think “what is he (Narendra Modi Ji) going to say, what is he going to think” and this is what is systematically being done. It’s being done to the Election Commission, it’s being done to the Supreme Court, it’s being done to the Defence Forces, it’s being done to the Houses of Parliament, this is what you are fighting and I am very happy to see that we are actually now winning. We are defeating the BJP in the ideological fight. We are defeating the BJP on the daily news cycle and the Congress Party is now, firmly entrenched in the mood and spirit of the people. So the common man today has realised that Narendra Modi is not what he had claimed to be, that the RSS is not what they claim to be, that they are actually attacking the idea of India and that the only force that can defend the idea of India, is the only Party that belongs to and thinks about the whole country. If you analyse that fully and with respect to all my opposition friends, there is only one Party that speaks for the entire country. Every other Party, speaks for a part of Indian Society, and we say this with a lot of pride, that we are the uniting Party in this Country and we say this also with respect to our opposition parties. Without any disrespect, this cannot be argued, that the RSS-BJP divides the nation and only speaks for a part of the Nation. The Congress Party is the only Institution and that’s the Institution you represent, that defends the Idea of India and that is why it is our duty, and you will see we are the first people to do it and we are the people standing right in front of the BJP. It is our duty to defend the institutions of this country and we cannot leave this to anybody else. We have to defend, at times at our cost, so we have to defend the institutions of this country, sometimes even when it hurts us, because we are the people who fought the battle that delivered the Constitution. 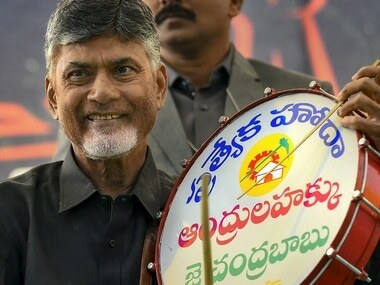 So you have to be aware of your History, your history is different from the history of a lot of the other parties and that is something that each one of you carries with yourselves and you will see that in 2019, the number of people who are standing behind you, right now you’re thinking “oh we are 48 in Lok Sabha”, you will see that the number of people standing behind you will surprise you. You will get a shock as to what is going to happen in 2019 and this would not have been possible if you had not defended our position in Parliament. So I end by thanking all of you and special mention I have to make; Kharge Ji who fought great odds to give some terrific speeches. Manmohan Singh Ji who in his economic wisdom said 2% damage by Demonetisation, I don’t know what mathematics he did, what calculations he did but it turned out that it was the most precise, better than pretty much any other economist so we thank him for that. Ghulam Nabi Azad Ji, Anand Sharma Ji who gave some very good speeches and of course everybody else here. So thank you very much, Jai Hind. members who are trained RSS ideologues who just repeat themselves again and again, and we had quite a difficult time in both Houses and I refer of course not to the Rajya Sabha but the Lok Sabha where senior members were forced to go to the well, senior members were forced to shout for days. They’re laughing right now, but they were not laughing then. They were being forced, it was physically difficult, it was psychologically difficult but the Congress Party stood there and defended its position. Defended the key attacks that the BJP was making on the constitution and on our ideology, so I’d like to start by congratulating all of you and I am very proud of the work that you have done. So I end by thanking all of you and special mention I have to make; Kharge Ji who fought great odds to give some terrific speeches. Manmohan Singh Ji who in his economic wisdom said 2% damage by Demonetisation, I don’t know what mathematics he did, what calculations he did but it turned out that it was the most precise, better than pretty much any other economist so we thank him for that. Ghulam Nabi Azad Ji, Anand Sharma Ji who gave some very good speeches and of course everybody else here. So thank you very much, Jai Hind.